Most of you know that feeling when you are frustrated on the court and everything seems to be going against you. During really bad times you might even consider quitting Tennis or at least that thought has crossed your mind. 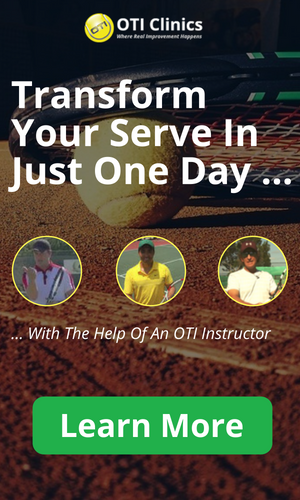 With this post I want to help you develop long-term satisfaction on the tennis court. Whether or not you are satisfied on the court more often than not depends mostly on the attitude that you have towards the game as well as the expectations that you put on yourself. Every tennis player has a certain base level of satisfaction that results from your attitude towards the game and not from your playing level! The ultimate goal is to get into a frame of mind where short-term results really don’t affect you much anymore and instead you fully enjoy the process on the tennis court! Usually a player with a bad attitude will quickly find a way to be dissatisfied again once he reaches a higher level of the game. Players that are generally satisfied on the court on the other hand, remain that way even when they go down a level due to injuries for example! 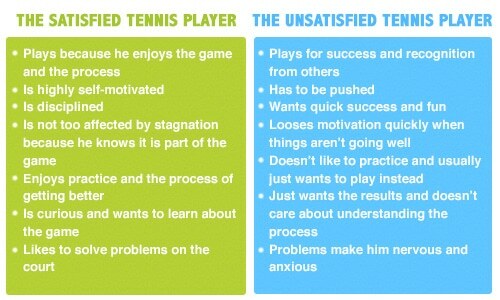 For my upcoming ebook “Mastering The Mental Game” I put together a graphic where you can compare the attitudes that generally characterize satisfied tennis players to the attitudes that generally characterize unsatisfied tennis players. So the real key for long-lasting satisfaction on the tennis court is developing as many of those attitudes that characterize the satisfied tennis player as possible! Nobody is perfect of course and some attitudes will be more important to you and some less, which is perfectly fine. The key is taking steps in the right direction! One really important aspect to think about in my opinion is the idea that solving problems on the court is fun and that is one of the primary reasons we play Tennis. Many players subconsciously hope for less problems on the court and that attitude will not result in long-term satisfaction! Developing the right attitude and mindset realls is a continuous never-ending process. In sports psychology the focus oftentimes tends to be on short-term mental strategies like visualization and positive affirmations. 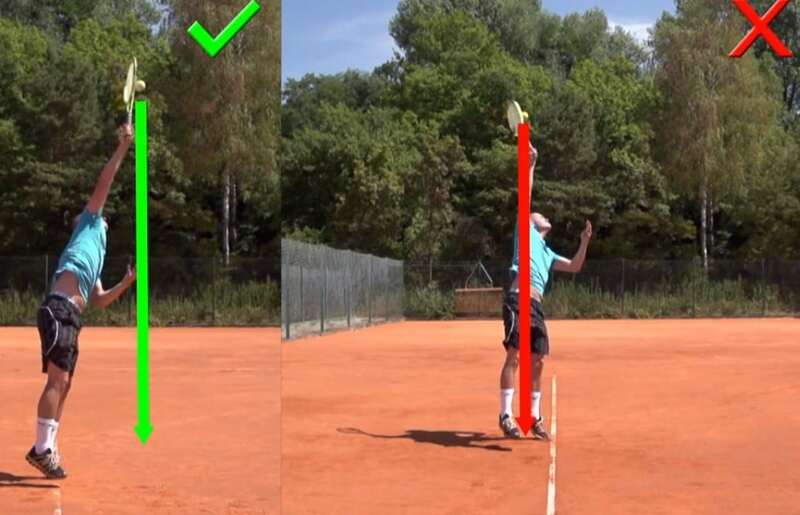 Even though techniques like visualization and positive affirmations can certainly be helpful, they are not the secret to long-term satisfaction and success on the tennis court. That can only be achieved by developing the attitudes of the satisfied tennis player! Try to thrive on solving problems on the court. That’s the fun part! Allright. So much for now. Focus on the process and the enjoyment of solving problems on the tennis court and you will have more fun and success!